Canada’s cultural industries greeted the election of a new Liberal government with considerable excitement, hoping to the turn the page on a decade of Conservative policies that were widely viewed as prioritizing consumers over creators. The Liberal platform was silent on major regulatory changes, but it did promise to reverse cuts to the CBC and to increase allocations to the Canada Council for the Arts, Telefilm, and the National Film Board. The cultural sector will undoubtedly welcome the infusion of millions more in taxpayer support, but the bigger fight will be over legal reforms to treat telecom and Internet companies as cultural businesses and require them to make Canadian content contributions similar to those paid by conventional broadcasters. My weekly technology law column (homepage version) notes that the prospect of telecom and Internet provider payments has been part of a long-standing campaign from cultural groups who fear that a shrinking broadcast sector will ultimately mean smaller handouts for Canadian content creation. 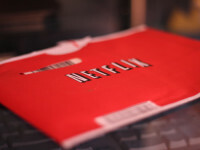 The campaign has thus far failed to bear much fruit: the Supreme Court of Canada ruled in 2012 that Internet providers were not subject to the Broadcasting Act and last year the Conservatives led the charge against a “Netflix tax” that would have required the popular online video service to make Canadian content contributions. TPP Negotiations Conclude: What Next for the Trade Deal Without a Public Text? The Trans Pacific Partnership negotiations concluded early this morning in Atlanta with the 12 countries reaching agreement on the remaining outstanding issues. 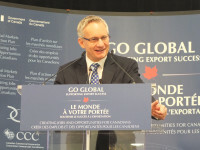 The U.S. quickly posted a summary of the TPP and the Canadian government has followed with its own package on the deal. At a just-concluded ministerial press conference, the ministers noted that this is one step in a longer process. The text itself must still be finalized and then each country will have its own rules before signing onto it. In the U.S., there is a review period with the full text, so this will be a 2016 issue. In Canada, new treaties must be tabled for review in the House of Commons, so there will be a Parliamentary review. 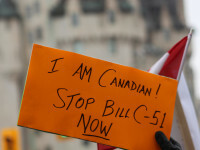 Bill C-51, the anti-terrorism bill, became law yesterday as it received royal assent. As polls continue to suggest that the Liberal support for the bill is shifting potential voters to the NDP, Liberal leader Justin Trudeau has conducted several interviews defending his position as the “right move for Canadians.” Trudeau’s arguments, which have been echoed by other Liberal MPs such as Marc Garneau, boils down to three key claims: he doesn’t want to play politics with security, there are elements in Bill C-51 he likes including greater information sharing, and he will fix the problems with the bill if elected. For those Canadians looking for an alternative to the Conservative position on Bill C-51, Trudeau’s defence falls flat. 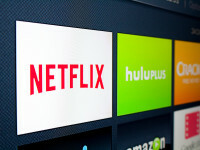 the NDP fully supports the recommendation made by Carolle Brabant of Telefilm Canada, who argued that it is vital for over-the-top services to be able to do what traditional platforms and media do, namely, provide government authorities with detailed information about their services, such as consumers’ habits, the Canadian films available, the revenues generated and the costs associated with such services. Liberal MP Judy Sgro continued her efforts yesterday to add lobbyist-inspired provisions to Bill C-8, the anti-counterfeiting legislation. Having already proposed removing the personal exception for travelers (leading to increased border searches) and a “simplified procedure” for the seizure of goodsthat would remove court oversight in the destruction of goods in a greater number of cases, Sgro proposed an amendment to add statutory damages with a mandatory minimum of $1,000 and a maximum of $100,000 in liability. The provision would limit the discretion of judges to order damages based on the evidence.